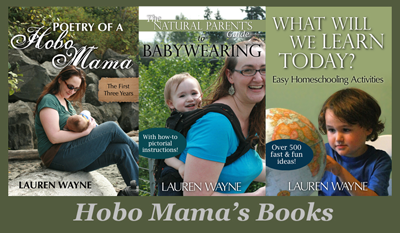 Hobo Mama: Welcome to World Breastfeeding Week 2009! August 1-7 is World Breastfeeding Week, and I have this fabulous idea to bring you a series of breastfeeding-related articles in celebration. I discovered as I was drafting a few that most of my breastfeeding info is geared toward the earlier days of breastfeeding, when things are still getting established. • The theme of World Breastfeeding Week for 2009 has to do with breastfeeding's ability to save lives in a crisis, such as natural disasters like a cyclone or earthquake, civil unrest like wars and displacement, or a personal emergency like a house fire or homelessness. It sounds like kind of a downer of a topic when I print it out like that, but breastfeeding really is an amazing tool for mamas and babies who are in distress. There'll be a Carnival of Breastfeeding post later this week that will address that topic further, and of course there will be a host of other carnival participants' thoughts to read. • I also intend to write a couple tips about how to establish a good breastfeeding relationship with a newborn. These would most likely come in handy for a first child, or if the first time around breastfeeding didn't go as you'd planned. • I have a long overdue rave for a nursing cami, so look for that. • And I also plan to review nursing pillows. Call it a pillow fight between Boppy and My Brest Friend! 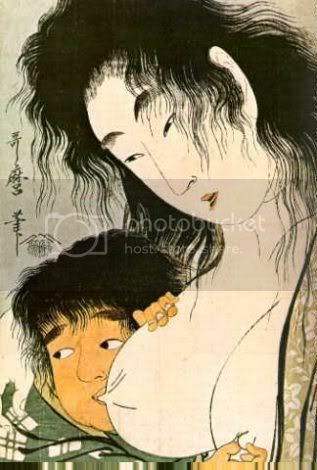 • I want to do a Breastfeeding Roundup of articles from my site, in case you're new to the site and want an idea of what I've written about breastfeeding babies and toddlers in the past. Happy Breastfeeding Week, and happy breastfeeding!